I enjoy weather changes, I can’t see myself living in a place without seasons, Wisconsin suits me just fine. My favorite season change is summer to fall, I know I’m not the only person that loves the cool weather, beautiful colors and the end of fly and mosquito season. This year I enjoyed vacation the last week of September and just like almost all farmers, we didn’t take a vacation, we stayed right here. 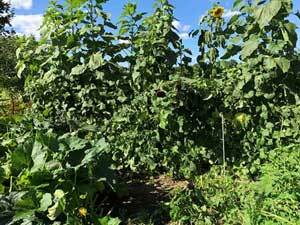 Fortunately the rain held off for most days and I was able to begin my fall cleanup. 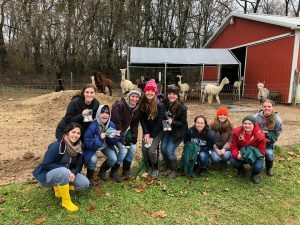 Token Creek Alpacas has a history of supporting the University of Wisconsin School of Veterinary School in general and in particular the Small Ruminant Club; we love having these students visit our farm. Once or twice a year we invite the club for our monthly herd health day. © 2019 Token Creek Alpacas, LLC. All rights reserved.